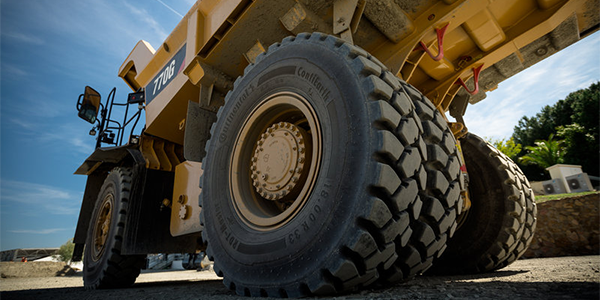 RDT-Master CR (cut-resistant) compound ensures high wear resistance when confronted with the demands placed on off-the-road tires, especially at mining and construction sites. 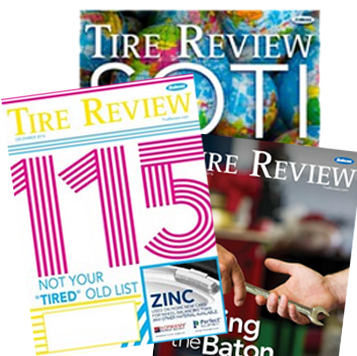 Specifically developed for use on rigid dump trucks, these tires are often used in aggressive terrain where resistance to high abrasion and cut and chip are predominantly required. Continental’s newly developed polymer meshing system based on high synthetic rubber and selected components allows the RDT-Master CR to offer good protection and wear resistance while still maintaining good levels of heat dissipation. The RDT-Master CR with a cut-resistant compound comes with high carcass protection against cuts and damages by foreign objects and an open shoulder design for good self-cleaning abilities and enhanced traction. The new compound complements the standard compound for the RDT-Master which is best suited for mixed applications on different surfaces. The RDT-Master ST offers a well-balanced intermediate compound that covers longer load cycles than its cut-resistant counterpart while still offering a good abrasion resistance.